Since I am going to be taking a contrarian position on the GreenLight Pinellas sales tax referendum, I thought it was proper to lay out my general position in some detail so readers will be able to evaluate my comments as they make their decision regarding the Sales Tax Referendum. I am not opposed to public transportation. I believe that public transportation is a duty and responsibility of local government. I also agree and support the facts that: a) public transportation will never be a financially self sustaining program, and b) that all tax payers have a responsibility to contribute to the public transportation effort of their community. The mode or modes of a public transportation system in a community such as Pinellas County should fit the geography, demographics, commercial nature and objectives of the community. There is a place for buses, ferries and maybe light rail. The establishment of public a transportation system such as the Pinellas Suncoast Transit Authority (PASTA) creates an entity with taxing authority to support the financial needs of public transportation. In Pinellas County PSTA has been carefully crafted to allow all of the 24 Cities in the County some degree of input along with a strong presence from the Pinellas County Commission. PSTA is a bit unwieldy, but highly representative. I believe that the public transportation authority, PSTA in this case, has a responsibility to use public funds in an efficient and effective manner; such that the needs of those who use and depend on public transit are the first consideration and the most efficiently served. I believe that a sales tax properly conceived would be an excellent mechanism to fund public transportation in Pinellas County. I further believe the sales tax Ordinance should set up a sales tax mechanism allowing a variable rate with a 1% maximum tax cap. I do not believe that the Sales Tax Ordinance as offered in this Referendum provides sufficient controls to assure the public interest (those who need and use public transit should have access) is served and that public funds are properly allocated or protected. I do not believe that voter approval of this Ordinance establishing an immediate massive revenue source that passes directly to PSTA is either reasonable or prudent. I believe that, to the extent possible, development of public transportation should not be a significant economic disrupter in terms of local small and medium sized business. I do not believe public transportation has a primary responsibility to support sports teams, developers or core commercial centers where future development is the primary driver. I do not believe that the almost fanatical obsession with light rail as evidenced and conceived by the PSTA and its supporters such as TBARTA meet the true needs of Pinellas County public transportation. Over the next ten months or so I will explore these issues and others related to the Sales Tax Referendum. I invite your comments and thoughts both positive and negative. 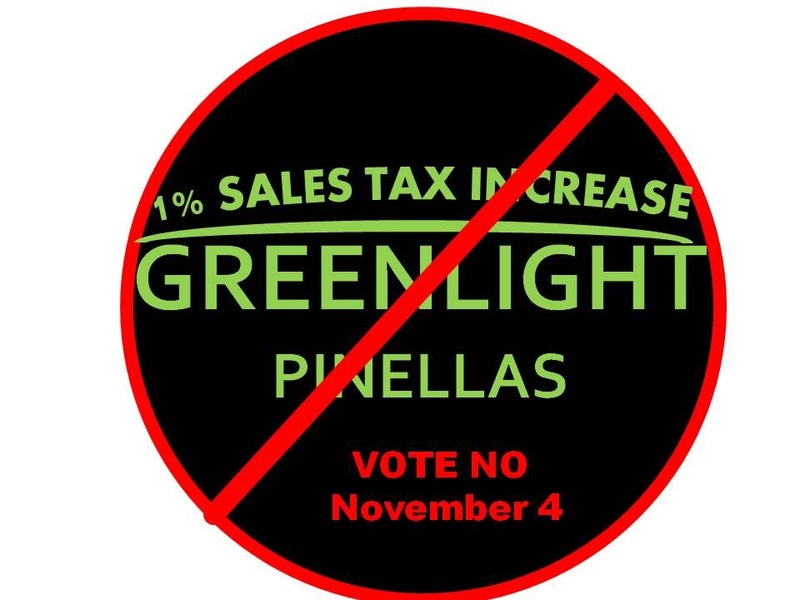 Read the Sales Tax Ordinance at Greenlight Pinellas Tax Ordinance. Get ready to vote "NO" on the Transportation Sales Tax Referendum.